I've sold a few patterns here and there at the LYS where I work. But now I'm actually dipping my toe in the real designing waters as they say. Only time will tell if I can make a go of this. I'm excited and very nervous. I had some wonderful test knitters that I found via Ravelry that gave me amazing feedback. So I officially present the Surrey Hat. 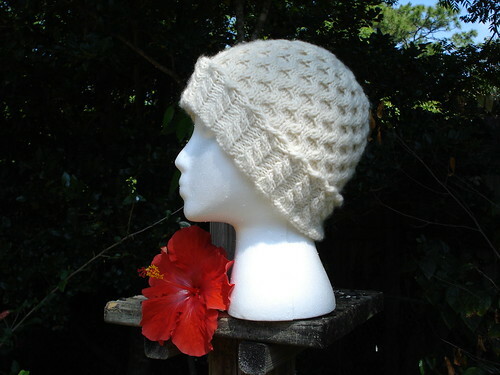 A lovely warm hat made out of the softest Malabrigo. With its fold up brim and detailed cabling, it’s guaranteed to keep your ears warm in style. Available in adult sizes S/M and M/L. It's only been a month from inspiration to publication on this one, but I'm sure that's because it's a hat. Hey, maybe hat designing is where it's at! Now I just have to figure out what's next!